Stella Maris Academy is a unique community, where every student is cherished and every family is appreciated. In addition to strong academics, student development is focused on creating aspiring and caring members of the community. Community service is encouraged and students are taught to reach out to those in need. Through our efforts, we strive for our students to become tomorrow's ethical and caring leaders. We believe families are an integral part of their child's education; therefore, we encourage parents to participate in the SMA community and be an active part of each child's education. Stella Maris Academy is a Catholic, coeducational, elementary school (Transitional Kindergarten-8th Grade), located in La Jolla, California. 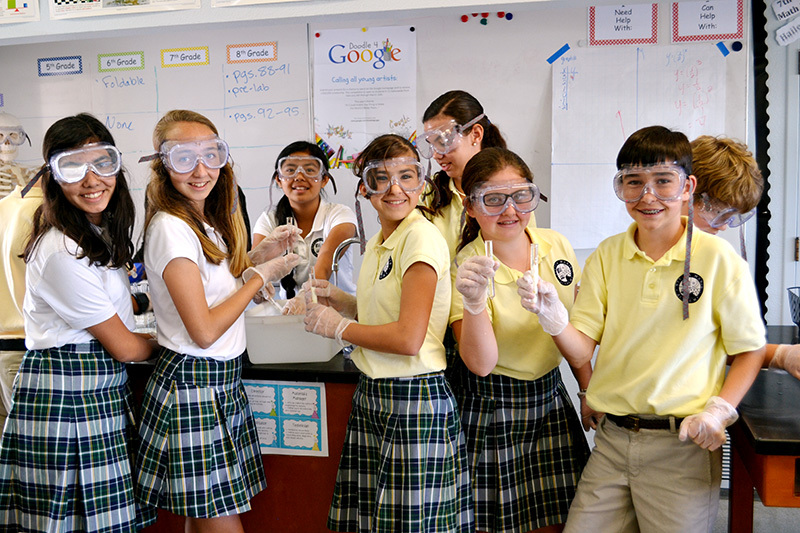 The school is committed to the mission of Catholic education. It is recognized that the parents have the primary responsibility for the education of their children. The school will support, enhance, and complement this role. After a tour of the school, we invite you to fill out an application and to meet with our principal, Mrs. Patricia Lowell. The application process is outlined in greater detail in our SMA Application. A child who is five years of age by September 1st may be admitted into Kindergarten. For children who miss this birthday cutoff, SMA has a Transitional Kindergarten program, designed for 4 and 5 year olds. A child who is four years of age by September 1 may be admitted into Transitional Kindergarten. A child who is six years of age by September 1st may be admitted to First Grade. The school screens the developmental readiness of students to ensure proper placement. Registration includes submitting copies of baptismal certificate, birth certificate, and immunization records. Children transferred from another school are required to supply report cards, health records, and transcripts from the previous school.